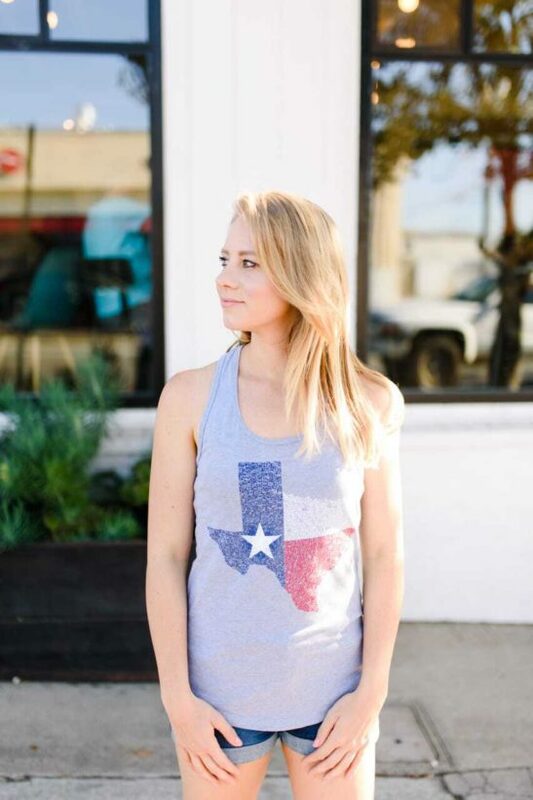 Our Texas design is made entirely out of positive quotes and phrases related to the Great state of Texas and portions of the Bill of Rights for the State of Texas. 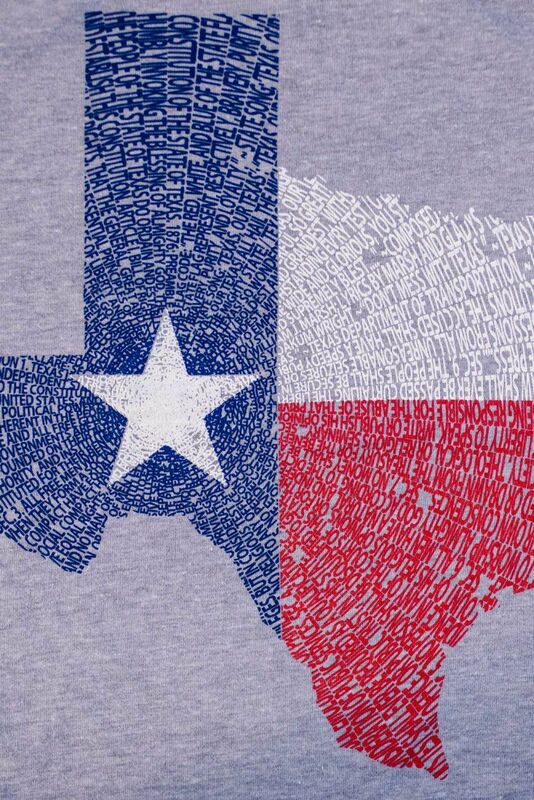 The state flag is taking the shape of the geographical shape of Texas. 60% combed ring-spun cotton/40% polyester, 30 single, 3.9 ounce, light weight jersey. Self-fabric binding.